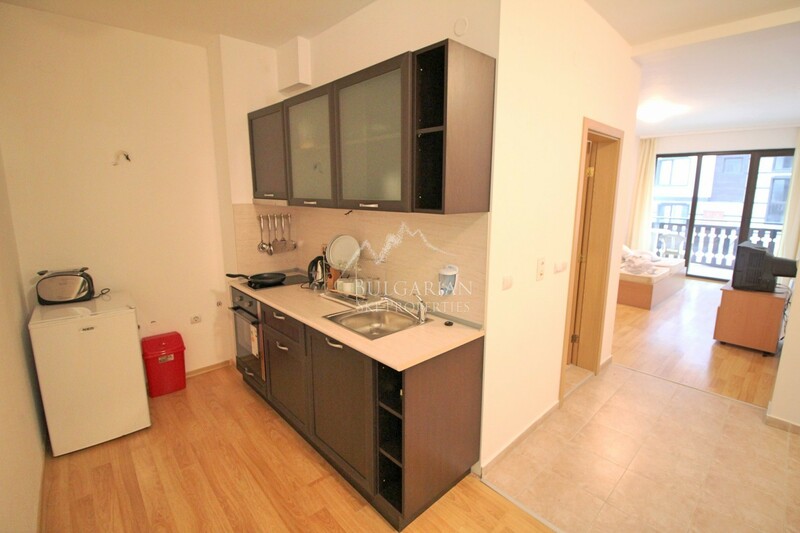 300 € Price per sq.m. 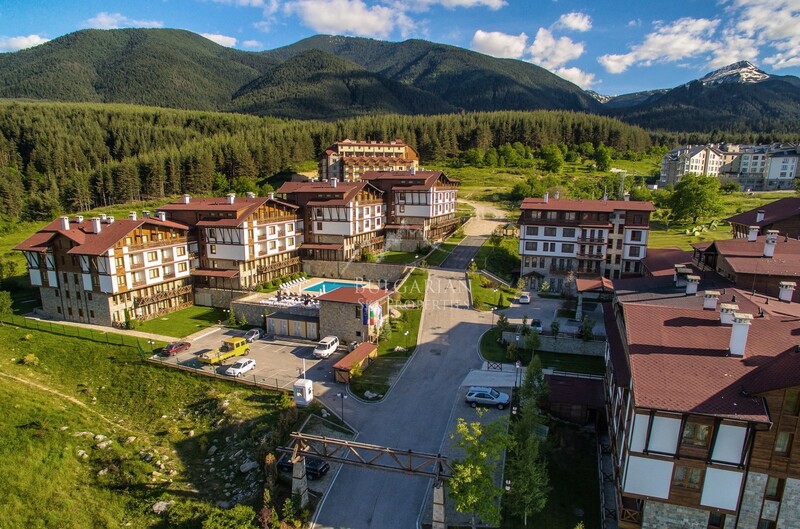 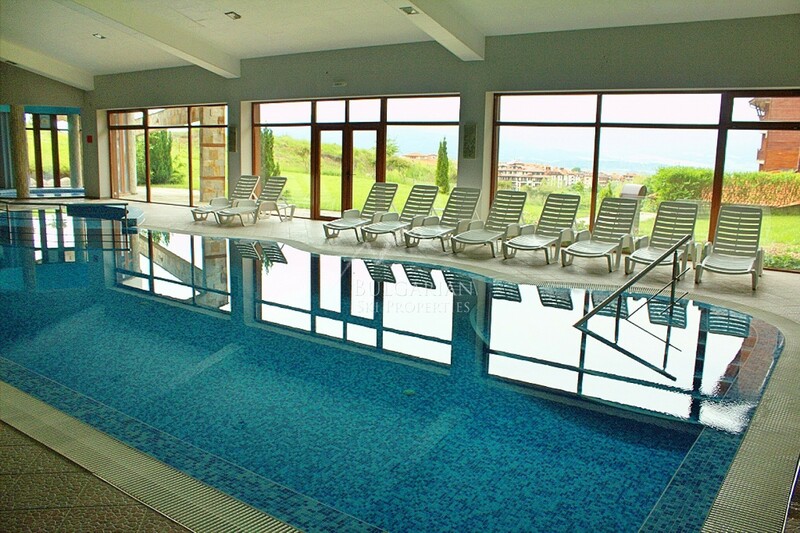 Apart Hotel Cornelia is situated at the foot of the Pirin with a unique view of the Ian Woosnam Golf and the Rila, Pirin and the Rhodope Mountains. 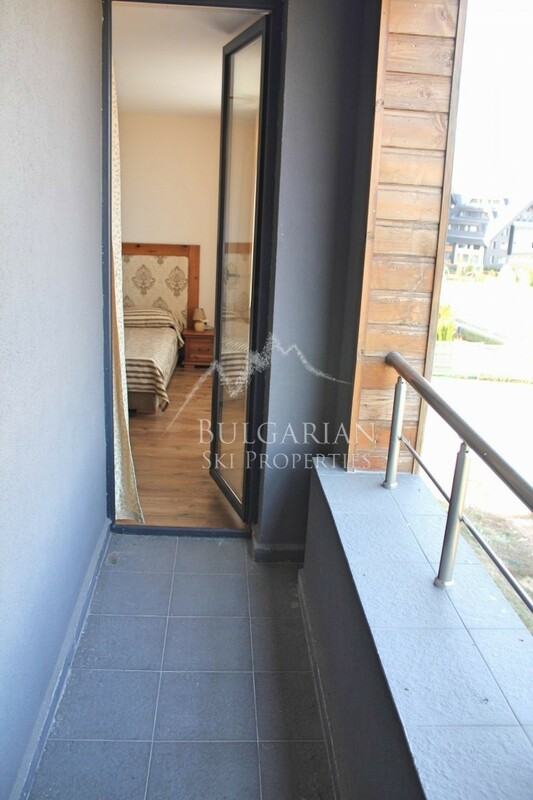 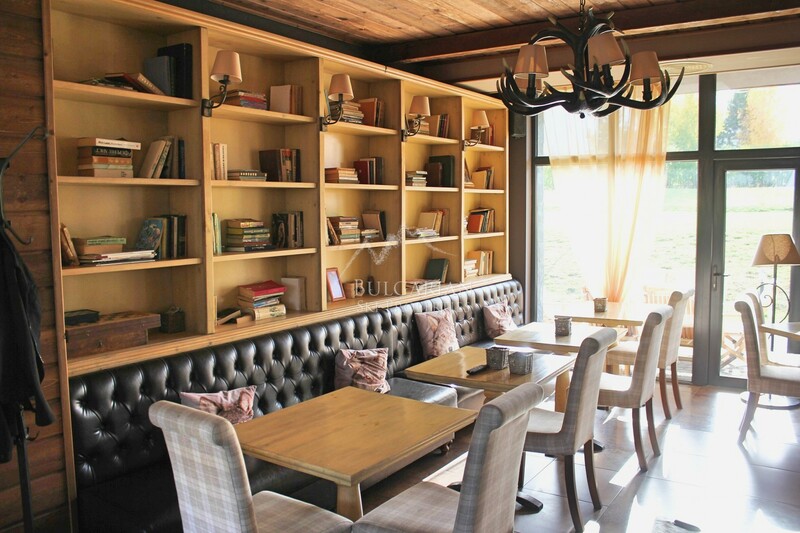 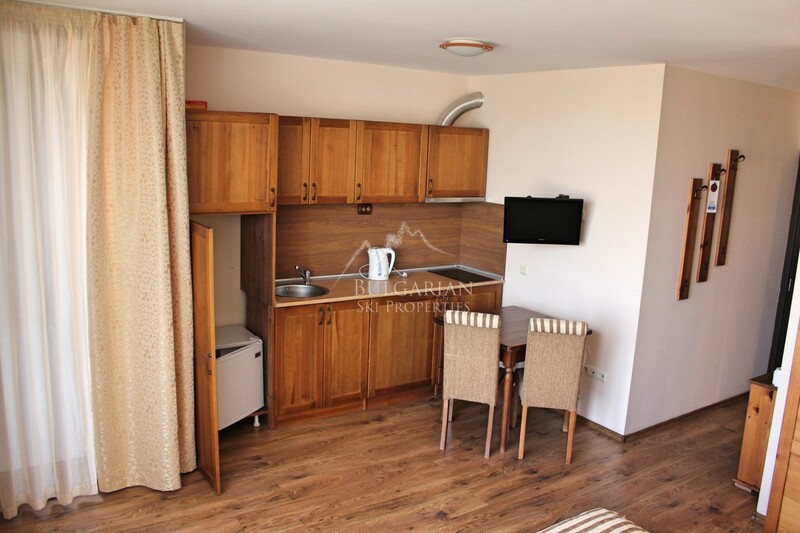 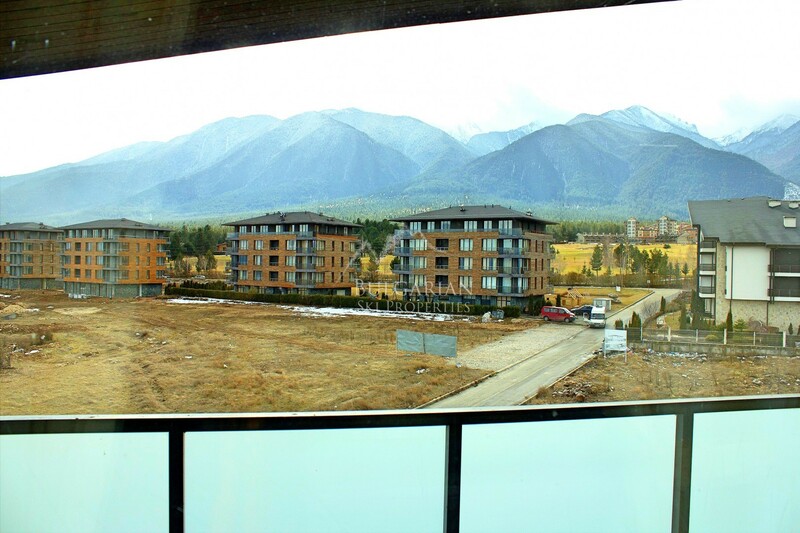 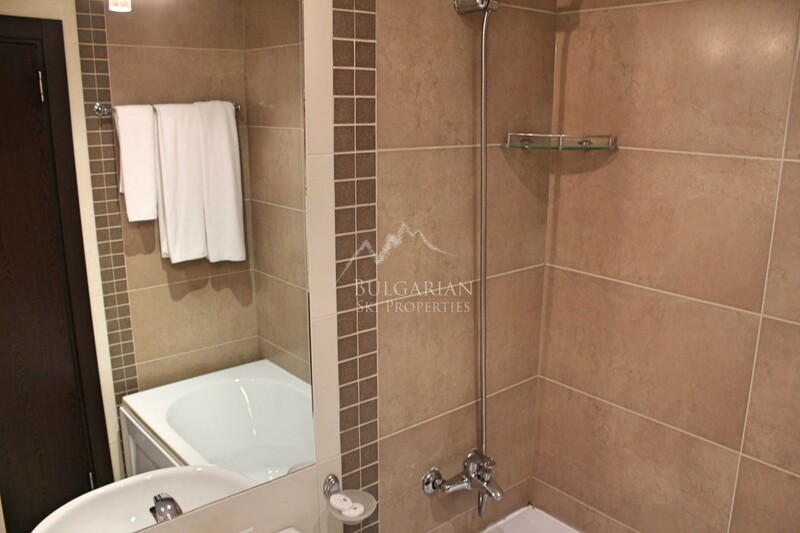 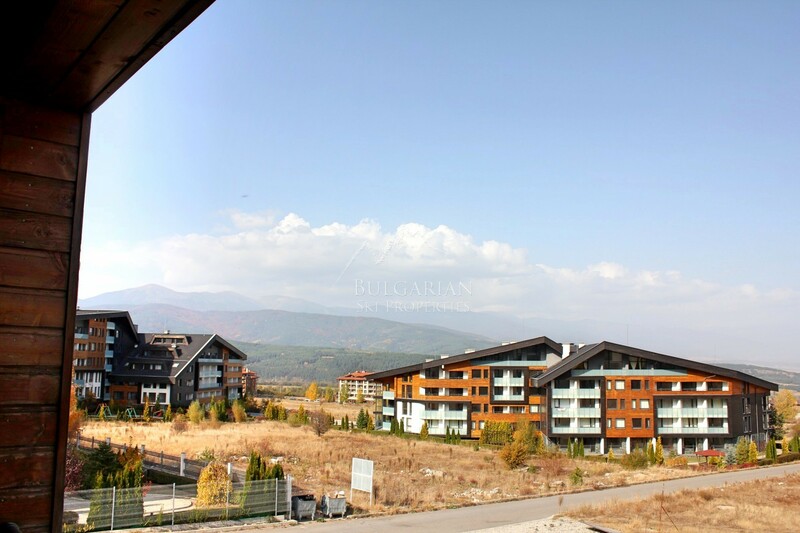 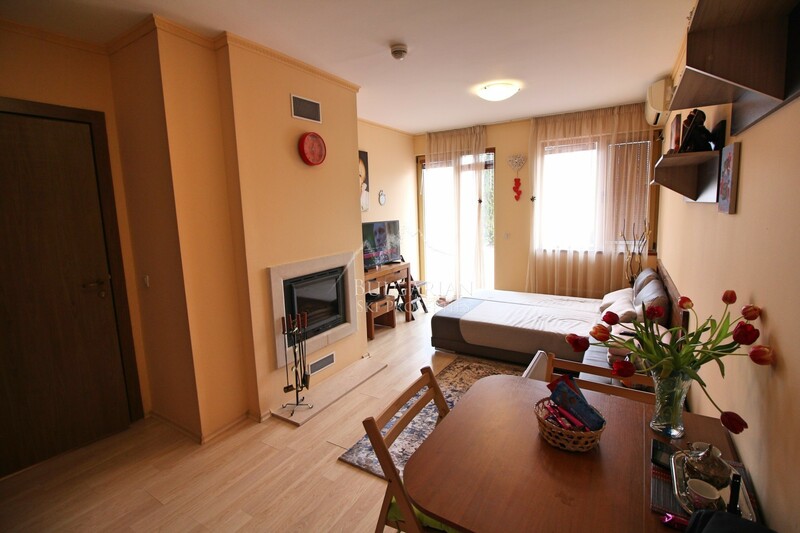 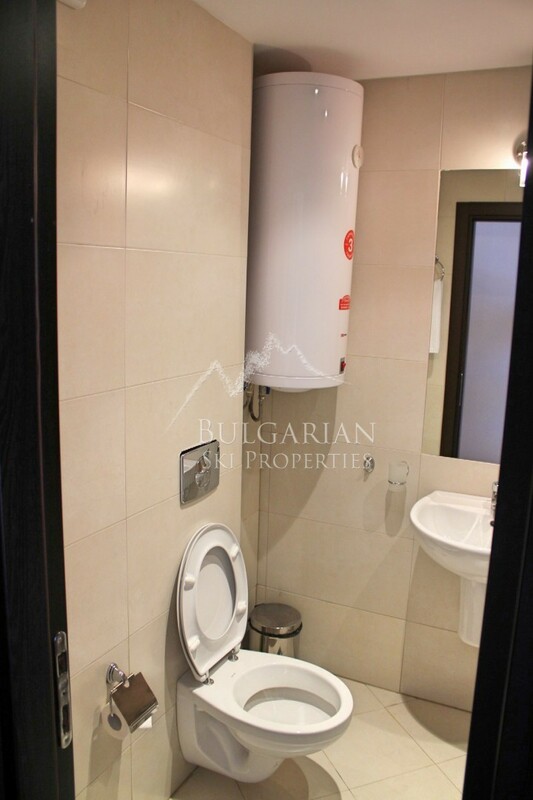 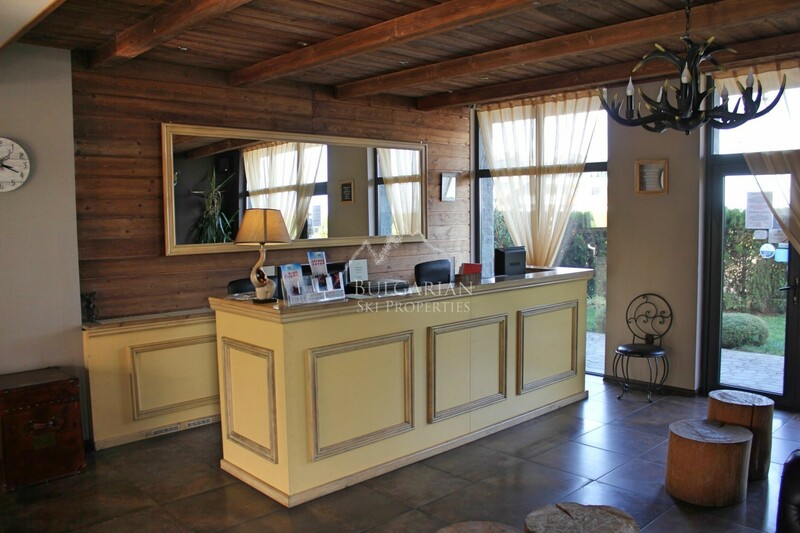 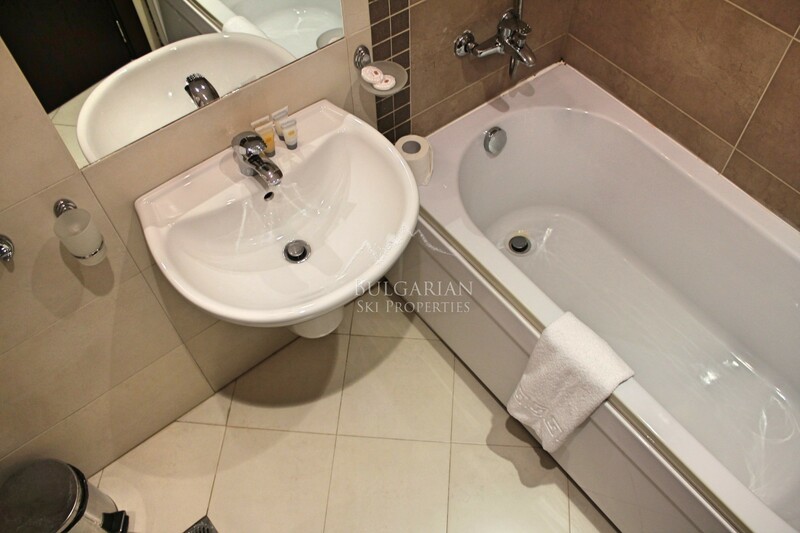 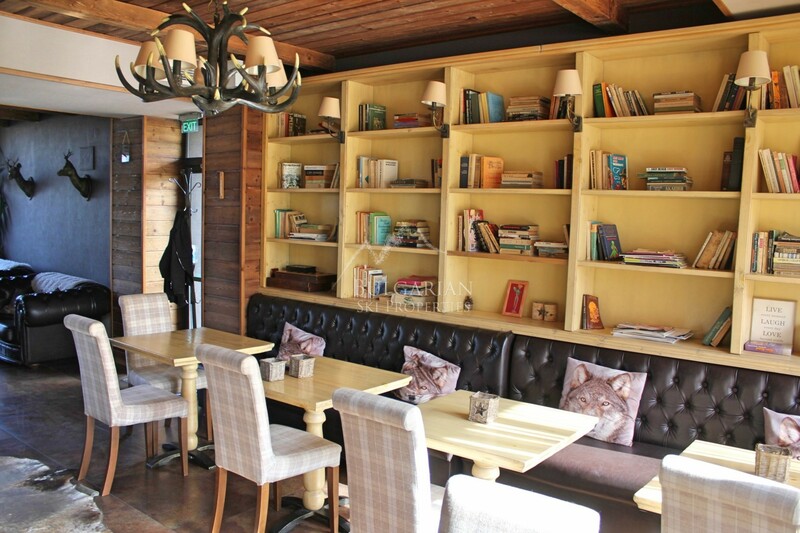 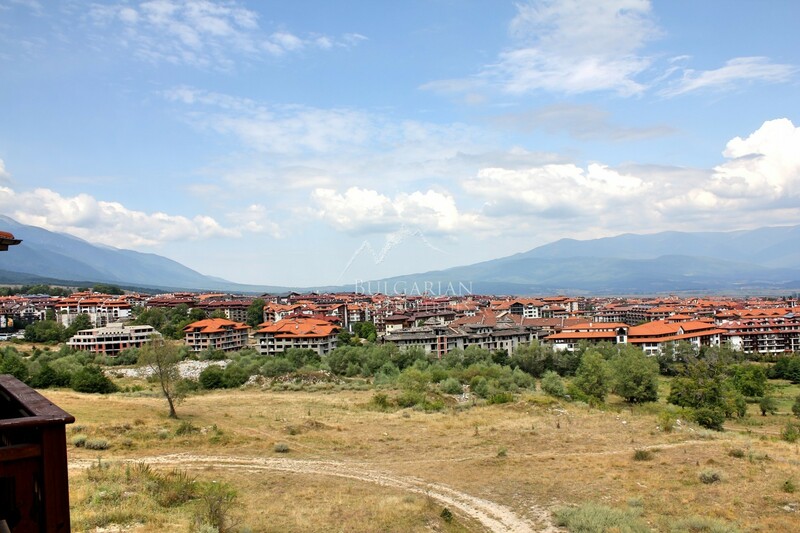 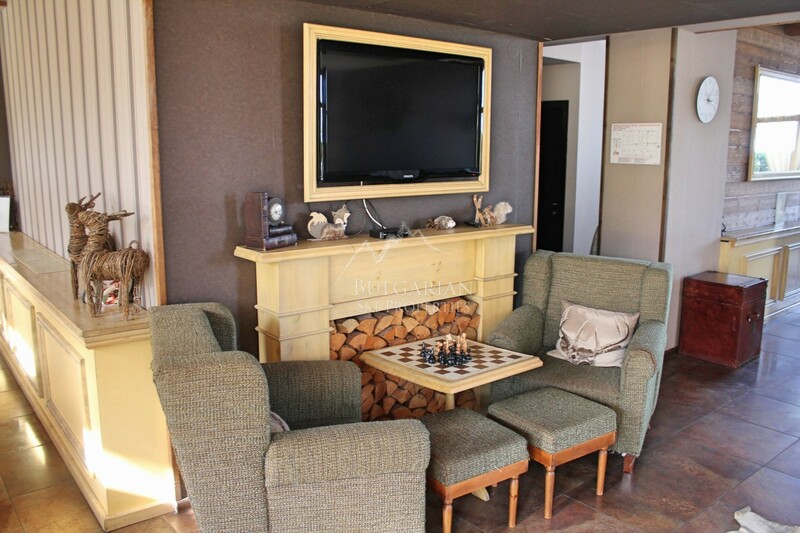 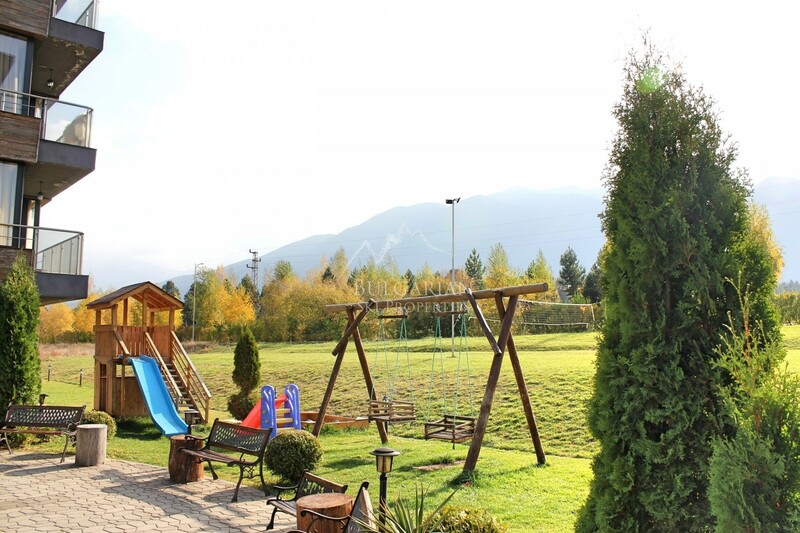 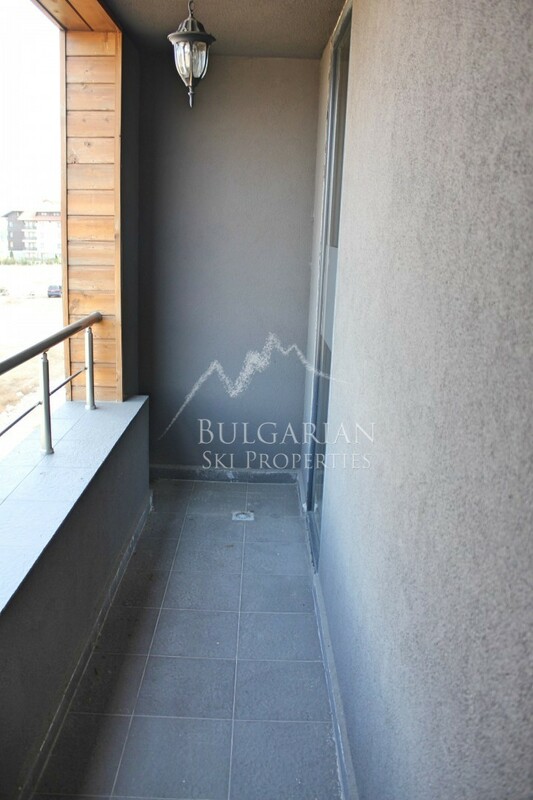 Only 10 minutes away from the town of Bansko and the ski slopes you will have the opportunity to enjoy the cozy atmosphere, the modern interior and the perfect service. 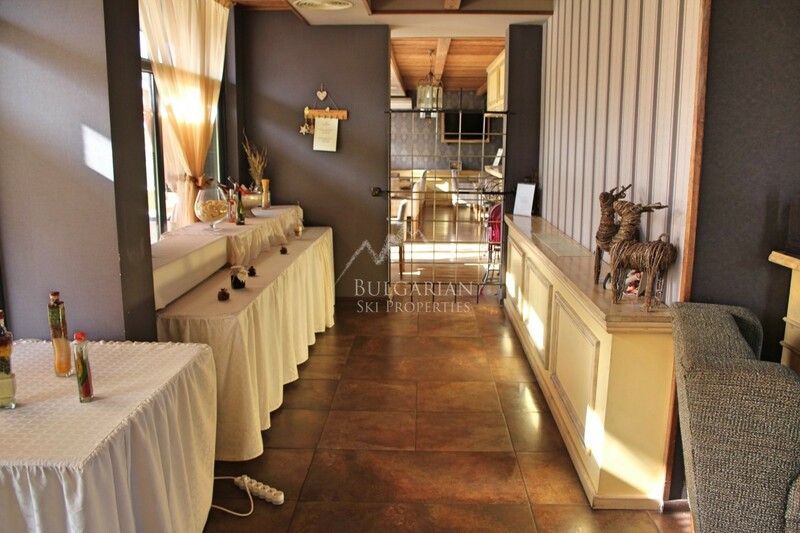 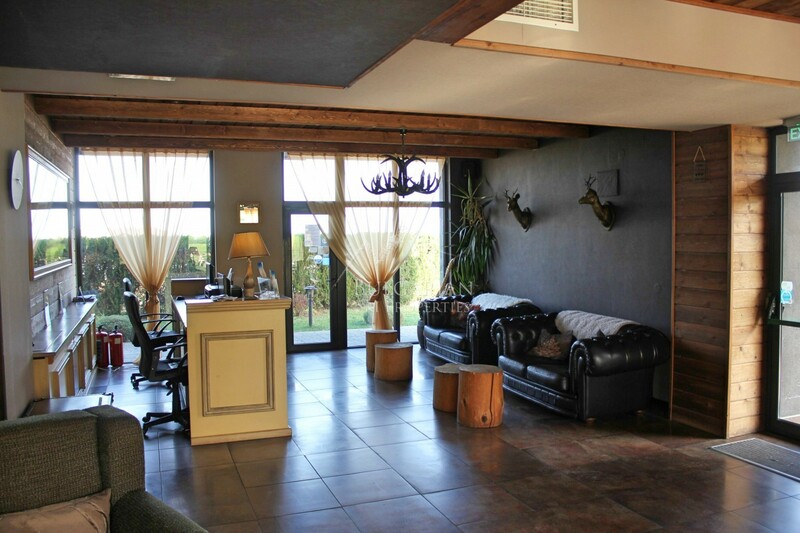 The complex has a warm and cozy restaurant and a lobby bar where you will taste delicious dishes, relax with a hot drink or an aperitif in your hand, and you will feel really at home. 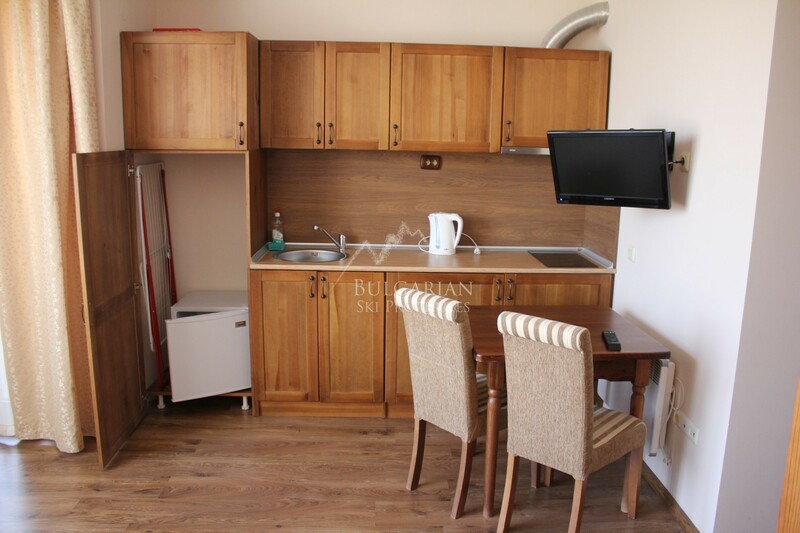 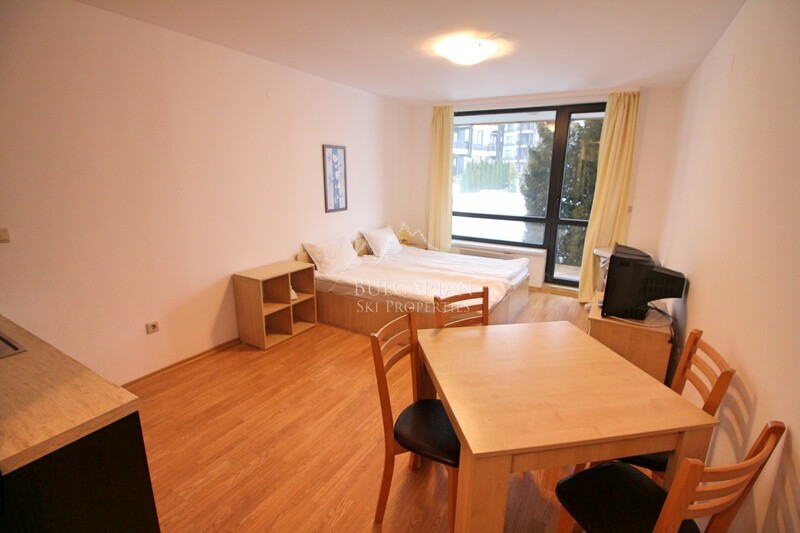 We offer for sale in Apart Hotel Cornelia furnished studio on the second floor with an area of 41 sq.m and is sold with the available furniture from the photos. 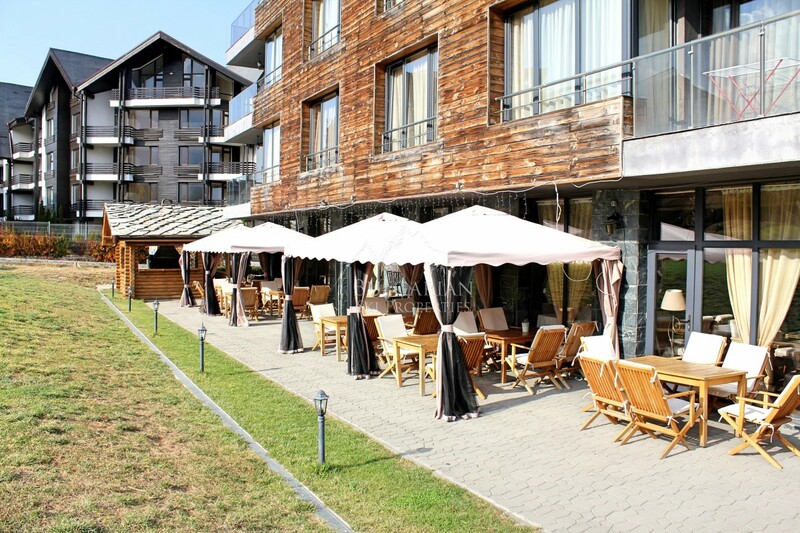 The Cornelia complex has a modern Spa centre where you will find a mineral water pool, a Finnish sauna and a steam bath with colour and aromatherapy.